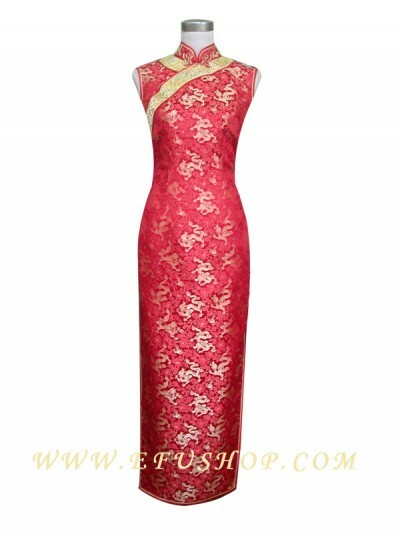 name:Traditional QiPaoDescription: traditional cheongsam, mandarin collar, orchid button at the neck. Back zipper, double slits, sleeveless, ankle length. Red with golden dragon silk brocade fabric. White with yellow dragon silk brocade border.